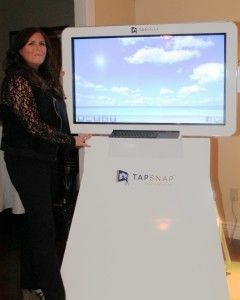 Anne Bradley of Pennington, New Jersey is excited to begin a new venture with TapSnap. Coming from a strong background as an executive at a nonprofit organization with responsibility for fundraising, she is well-equipped to take on the relationship building, marketing, direct mail, and customer service aspects of the business. Bradley spent the majority of her career working to provide housing and support services to runaway and homeless youth. Today, she continues to play an active role as vice president for professional advancement for the Association of Fundraising Professionals New Jersey chapter (AFP-NJ). She is looking forward to taking on the challenges of owning a business and using her skills in different ways with TapSnap. Additionally, this will be a family operation for Bradley and her business partner, John Kilcoyne. To help lead the day-to-day operations, they are bringing on Bradley’s incredibly tech-savvy 15-year-old son, Clay Sosis, who will take on event setup and troubleshooting. Bradley’s 27-year-old nephew, Brian Danielski, will take charge in interacting with guests at events. Undoubtedly, Bradley will make an impact throughout New Jersey’s Mercer and Ocean counties. Along with leveraging her existing connections, she plans to join the area’s local chambers of commerce and other organizations.